Wild aquatic bird populations have long been considered the natural reservoir for influenza A viruses with virus transmission from these birds seeding other avian and mammalian hosts. While most evidence still supports this dogma, recent studies in bats have suggested other reservoir species may also exist. Extensive surveillance studies coupled with an enhanced awareness in response to H5N1 and pandemic 2009 H1N1 outbreaks is also revealing a growing list of animals susceptible to infection with influenza A viruses. 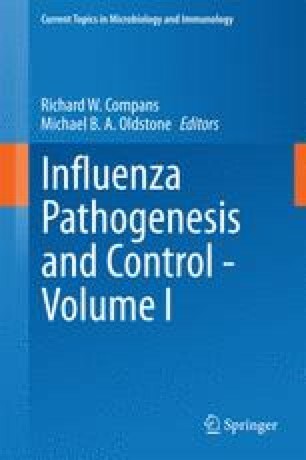 Although in a relatively stable host–pathogen interaction in aquatic birds, antigenic, and genetic evolution of influenza A viruses often accompanies interspecies transmission as the virus adapts to a new host. The evolutionary changes in the new hosts result from a number of processes including mutation, reassortment, and recombination. Depending on host and virus these changes can be accompanied by disease outbreaks impacting wildlife, veterinary, and public health. This work was supported by Contract No. HHSN266200700005C from the National Institute of Allergy and Infectious Diseases, National Institutes of Health, Department of Health and Human Services, and by ALSAC. We thank James Knowles for manuscript preparation.